Join us for a wonderful experience as we celebrate Shabbat and Holdiays together with insight into the traditions and customs that have enriched our lives for thousands of years. 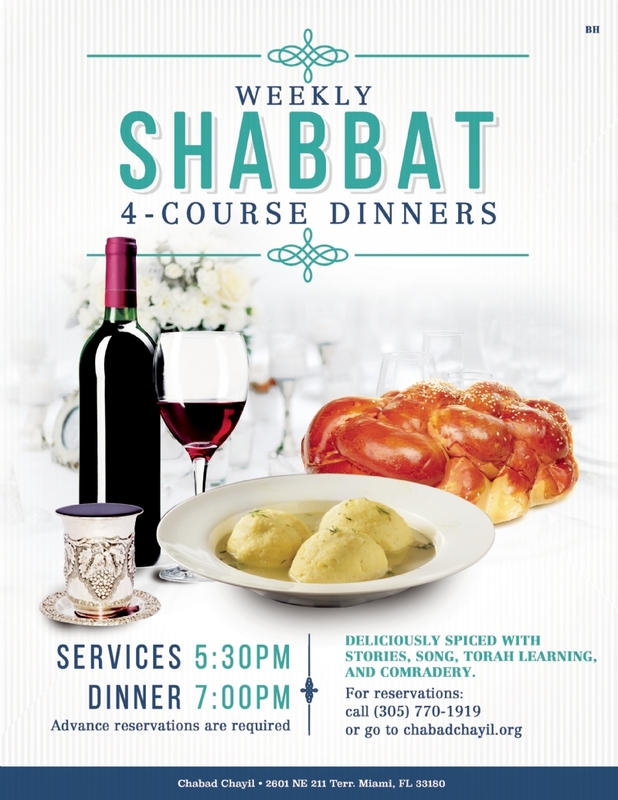 You’ll enjoy our delicious Shabbat cuisine, including Gefilte fish, Chicken soup, Kugels and all the trimmings! 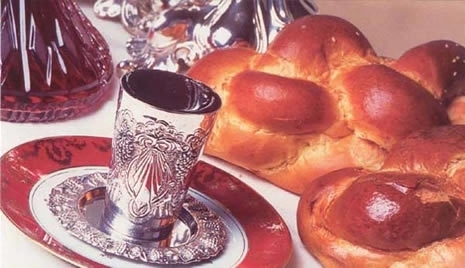 On Shabbat morning you'll enjoy hot Chulent and a variety of other Kidush favorites! You’ll hear all the beautiful songs and melodies that have been sung throughout the generations. You’ll hear insights into the weekly Torah portions, delightful Chassidic stories and an english explanations of our tradition. You’ll meet friendly people from all over South Florida and all over the world. And most important, you’ll feel welcome in an atmosphere that will warm your heart and ignite your soul. So, this week, make sure you attend and give yourself the treat you deserve. No need to RSVP for lunch unless you have a large group. Members - $26 for Shabbat, $36 for Holidays or Guest Speakers. Visitors - $36 for Shabbat, $46 for Holidays & Guest Speakers.